Purposeful Action is a leadership and self-development framework that blends ancient wisdom with modern management practices. This site provides many free resources on purposeful action that can help you improve the quality of your personal and professional life. So, what does an improved life mean for you? It means reaching your full potential and increasing your success, fulfillment and happiness. We invite you to explore these pages, visit our living blog, and start benefiting from Purposeful Action in all aspects of your life today. Purposeful Action is founded upon Four Principles. Purposeful Action is the cornerstone of Purposeful Leadership and Servant Leadership. A brief introduction to the Four Principles. Pursue your Actions with Purpose. Balance your Actions with Value System. From Four Levels of Desires Choose Giving. Relate with Others – We are all in it Together! You can’t achieve anything worthwhile without purposeful effort, except by accident. Furthermore, to be purposeful, your actions should serve a purpose higher than just serving yourself. Purposeful Action forces you to recognize the difference between right and wrong, or between actions of giving and taking. Finally, Purposeful Action guides you in energizing and mobilizing your body, mind and spirit in all your actions. Start with your commitment to a mission. And, this mission should be aimed at realizing a vision born within you. Also, the action must benefit others beyond yourself. Today, Purposeful Action is improving lives around the world. We do this by helping one person or organization at a time. So, take what you want from this site. Apply it to your life — changing it for the better. Then, pass it on. Step into the water and enjoy the journey! What is the Brook of Life? The Brook of Life is a metaphor for life. It imagines life as a journey in the river. The Brook provides a simple way to illustrate the Principles of Purposeful Action. The journey of life offers many paths. You can choose wisely only if you know where you are headed. The Brook guides you in making the right choices on this most important journey. However, you create your flow by the way your row. “In a narrative that could be ripped from the pages of any American life, Prem Chopra offers a lasting lesson in how to live life purposefully. With our harried lives often lacking thoughtfulness, perspective or true meaning, this is wisdom that could not come at a better time. 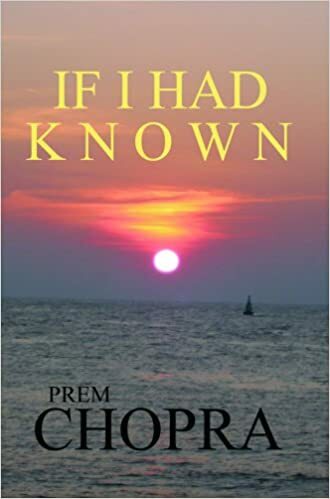 With clear, forceful writing, Chopra makes absorbing timeless Indian wisdom as easy as reading the latest novel.” Usha Lee McFarling, Pulitzer Prize-winning journalist, Los Angeles, CA. “Fascinating book, brilliantly conceived and written. Thought-provoking, enduring gems of wisdom woven through stories and experiences. A book that inspires readers to examine themselves more closely and search for life’s deeper meaning.” Ronald G. Area, Ph.D., President & CEO, Oklahoma State University Foundation, OK.